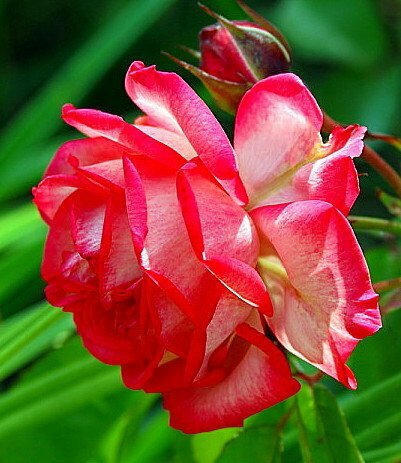 Fully double Height: 6' Width: 8' Hardy in zones 4-9 Moderately fragrant The starter rose you will receive is growing in a 2.5" pot. During the winter and early spring months plant could be shipped dormant. A vigorous climber with fully double rose pink flowers. Slightly fragrant and disease resistant. Blooms in early summer. Antique 89 is easily trained to climb a post, as shown in the photo to the left. It can climb about 9 feet or so in Zone 4a. Or it can be left untrained to form a large, arching shrub that will spread about 8-feet wide and get about 6-feet tall. It has healthy foliage and is very winter hardy; it can be left on a trellis with no cane dieback in Zone 4a. It's an easy care rose that's great for all gardens.